Award winning documentary director takes on fictional thriller. 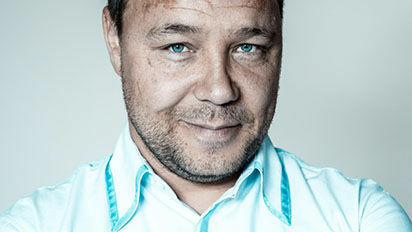 Acclaimed This Is England and Boardwalk Empire actor Stephen Graham is to take centre stage in Watchman – a brand new Channel 4 thought-provoking thriller. Written and directed by the multi award-winning director Dave Nath (director of documentaries, Bedlam and The Murder Detectives), The Watchman is set on one night, in one location and seen through the eyes of one man. Graham, will play father-of-two Carl – a CCTV operator who views the world through a series of screens. Working alone, he has gradually become intoxicated by the power of being the ‘all-seeing eye.’ Carl’s growing frustration with the local police comes to a head when they refuse to tackle a group of local drug dealers. Carl decides to intervene in the world he is supposed to be just watching. What follows is a terrifying chain of events played across one night shift. Head of Documentaries Nick Mirsky says: “After the success of Cyberbully and The People Next Door, Channel 4 Documentaries is keen to continue to give our very best factual talents opportunities to explore the modern world in drama. Dave is absolutely in that category, and has written an exceptionally powerful script which is a ‘what if’ psychological thriller of our times. Watchman is produced by Minnow Films, with Colin Barr executive producing (Our War, SAS: Who Dares Wins).